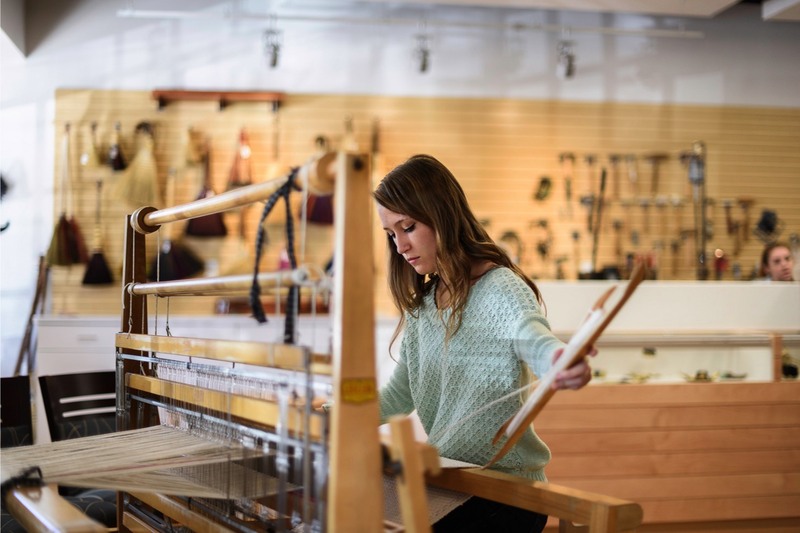 The Berea College Square includes a number of adjoined structures that house restaurants, retail stores, the historic Boone Tavern, and a variety of arts & crafts galleries, including Berea College’s Student Crafts on the Square (SCOTS). 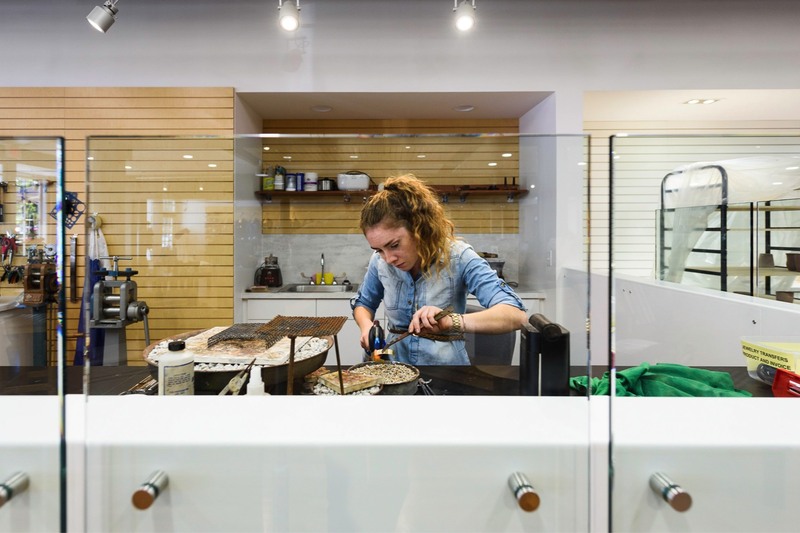 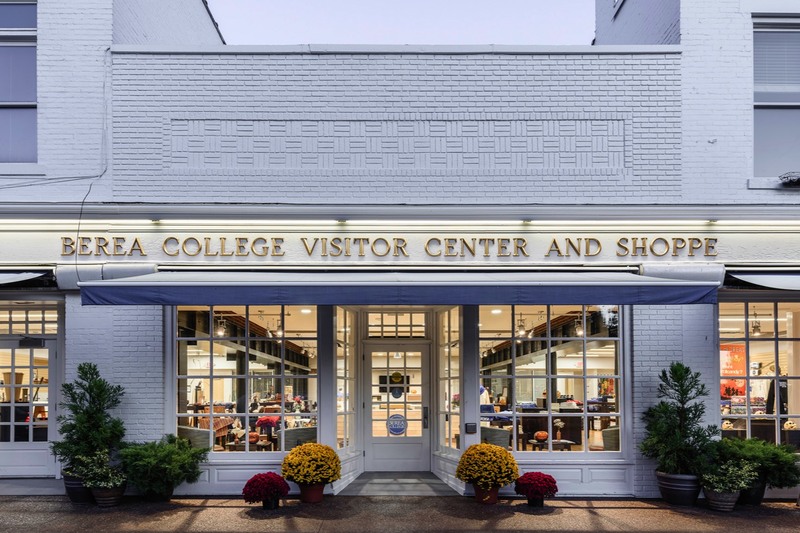 Omni Architects designed the interior renovation of three of the structures, removing interior walls to create one retail space to house the college’s visitor center, a bookstore, a convenience store, and SCOTS. 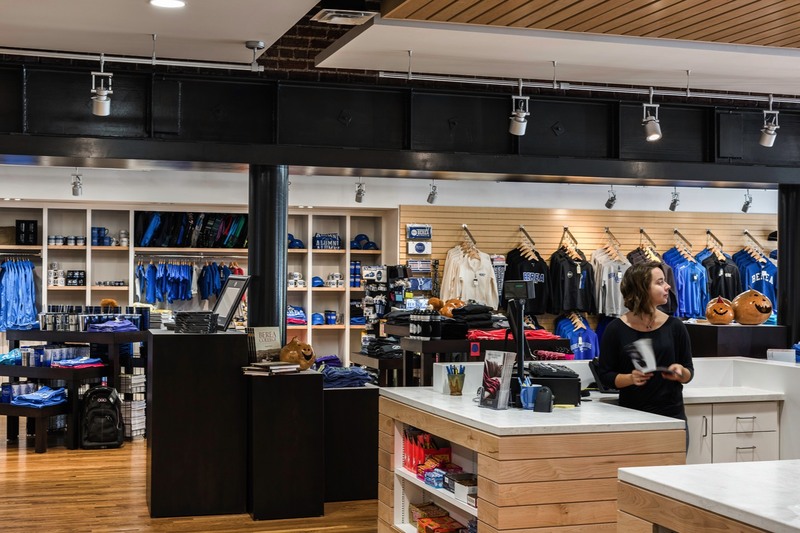 The challenge for Omni’s designers was to create an open and inviting retail space while being respectful of the historic nature of the structures. 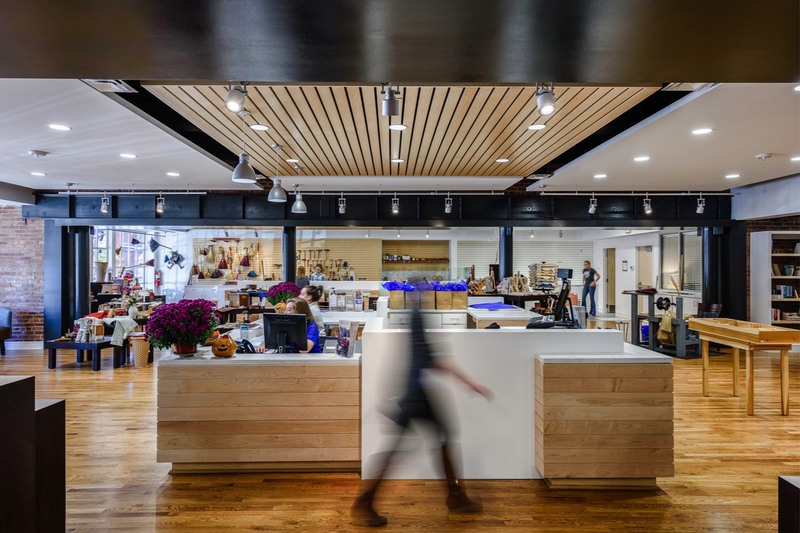 The space also needed to be aesthetically attractive to support the Visitor Center and Book Store components, yet durable enough to stand up to the SCOTS activities that occur within the space such as jewelry-making, weaving, broom making, and throwing pottery. 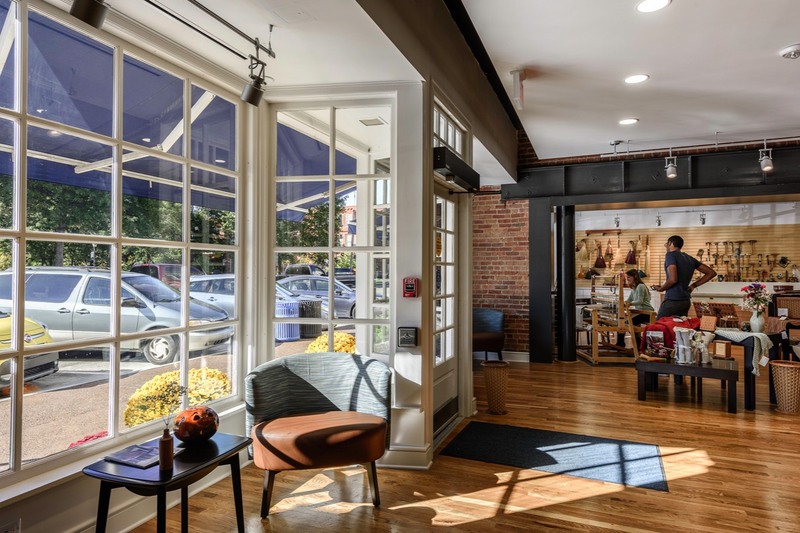 Omni’s design team responded by designing sleek, modern fixtures; floating ceiling panels; and LED lighting systems - all of which provide a beautifully balanced contrast to the exposed brick, traditional wood floors, and exposed steel beams and columns. 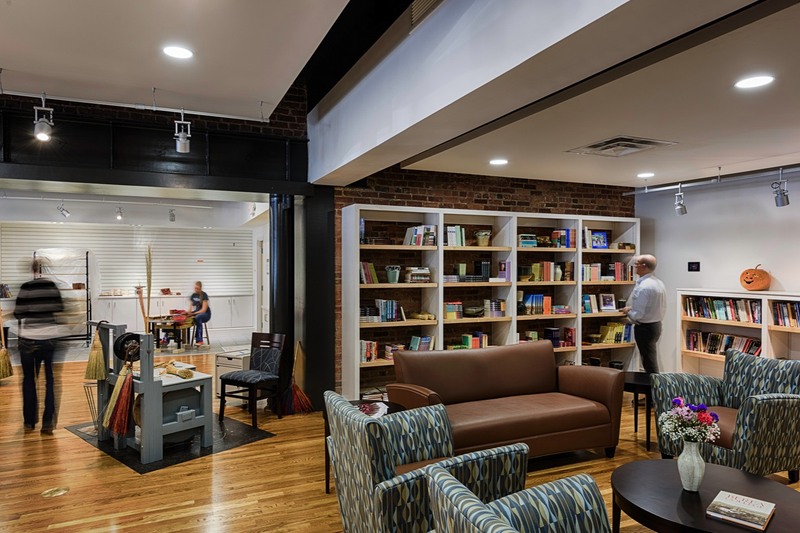 To achieve the new, combined space, large openings were created by removing portions of the brick walls that separated the structures - a significant undertaking given the age of the buildings and the depth of brickwork that separated the spaces. 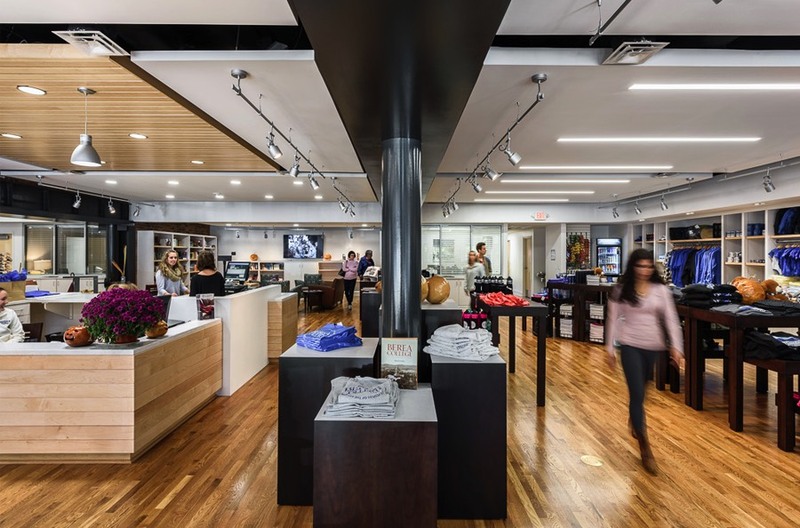 The adaptive renovation also included new mechanical/electrical/plumbing systems, which utilized as much of the existing systems to the greatest extent possible; new communications systems; lighting control systems; a new wet sprinkler system for retail space; and strict compliance with all code requirements. 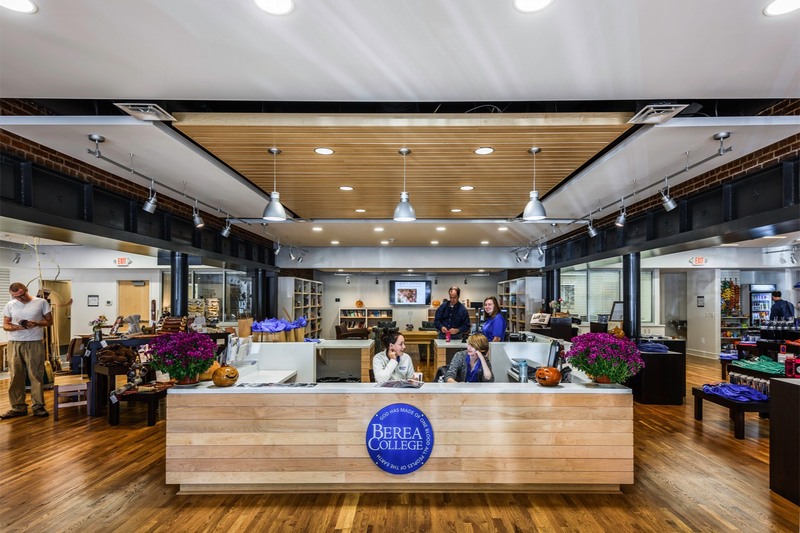 Sustainable design elements were implemented to the greatest extent possible, in alignment with Berea College’s intensive commitment to sustainability.